Although I wrote everything I know about squirrel issues for this website, oftentimes a problem with squirrels in the attic is beyond the scope of the do-it-yourself homeowner to solve. 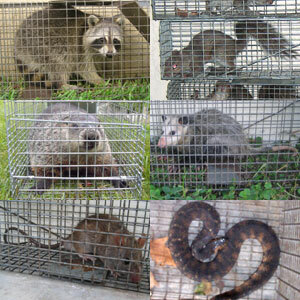 I have found a professional company in Mobile, Alabama that handles problems with wildlife. TruTech, Inc. has access to tools, techniques, and experience that help them do a far better job at wildlife removal than a non-experienced homeowner could. They possess licensing that allows them to do certain types of work legally, that non-licensed homeowners in the state of Alabama are not allowed to do. For the welfare of your situation, and the squirrels, in some cases it's best to hire a pro. There are good companies and bad companies out there. I've done research on such companies, to get to know them, and feel confident recommending their services. I therefore recommend a company called TruTech, Inc. which services Mobile, Alabama. If you have a squirrel problem, or any other conflict with a wild animal, and live in Mobile, I am confident that this company, TruTech, Inc., is the one to call. I asked the company to describe their service range, and they said this - We service both Mobile County and Baldwin County. Surrounding towns in our area include Prichard, Chickasaw, Saraland, Satsuma, Tillmans Corner, Bay Minette, Daphne, Fairhope, Theodore, Seven Hills, Grand Bay, and other nearby areas. TruTech, Inc. operates 24/7, so don't hesitate to call at any time to discuss your wildlife problem, and schedule an appointment for same-day or next-day service. Orie- It's odd that they are so persistent in chewing. Maybe spray Ropel or pepper spray (?) on the deck and furniture to discourage chewing. Are you relocating them far enough away? They can really come back from a far distance. David - I release them across the lake and they have to get across the dam, so that's not it. The thing that blows my mind is that I have caught so many in the past and now they will not enter the trap. I think that I will buy a new trap and see if that works. Orie- If they are now not entering a trap, it's possible that they are trap shy, which is something that can definitely happen if they've been trapped before. Squirrels are usually not too hard to trap, given their curiosity and persistence at obtaining nuts. Even though you are relocating them across the lake, that's probably not enough. It's clear at this point, given the number that you've trapped, that trapping and relocation is not the answer to your problem. You're going to want a deterrent, such as a motion-sensitive water sprayer, at this point. If you have a squirrel problem in Mobile County Alabama, or any other conflict with a wild animal, I am confident that we can solve it. We use humane methods when dealing with Mobile wildlife removal situations. Squirrel Control Mobile. Our company is fully licensed and insured in Alabama. Call us any time at 251-243-0073 for a price quote and to schedule a same-day or next-day appointment to solve your squirrel problem in Mobile.